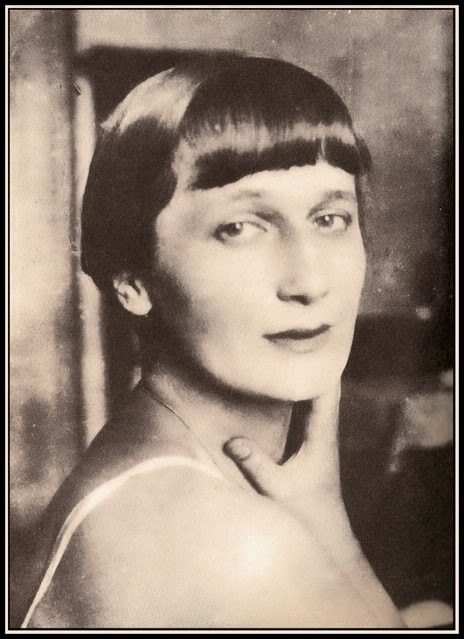 Anna Akhmatova (1889-1966) is intimidating to review. Her work has such gravity that any attempted encapsulation would fail. White Flock is one of her early collections, published in 1917 and so tightly focused on themes of love and the Muse that at first glance it feels removed from the enormous tragedy of the First World War. Only on first glance. There is in fact a strong somberness at work here that enjoins you to read between the lines and find evidence of a world gone wrong, while as the collection progresses, references to the war become more regular. And melts unnoticed on the sod. Is killing off each swelling bud. That I can’t look at God’s creation. Andrey Kneller is an independent translator and he self-published this bilingual edition of Akhmatova in 2013. 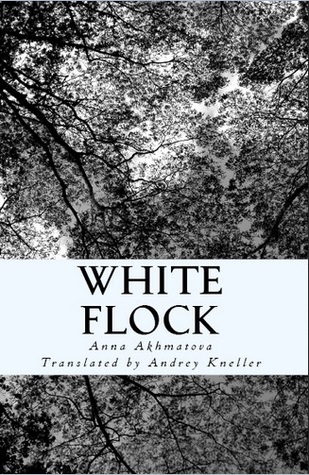 It’s a little bit hard for me to comment on his role in White Flock without familiarizing myself with earlier translations (I have only read the Kunitz/Hayward selections prior to this) but he clearly cares a great deal for the text and I found it pleasing to read, though not as impressive as her later works. A large number of the poems (one of the challenges inherent in this review is in her near-complete dispensing with titles – I can’t refer to poems but can only quote them) speak from the vantage point of a woman within whom love has ceased to be requited. An unassailable personage. Without love, I’m more at ease, I’m sure/The sky is high, the mountain wind is sweeping/And all my thoughts are innocent and pure. We’re immediately in the ostensibly personal but icily aloof landscapes similarly mapped out by Polish poet Anna Swir, but where Swir’s retreat from the world seemed savage and ironic, Akhmatova projects a deep-seated calm, reserved in the midst of guilts and regrets. In one poem she gives forgiveness to a sick man and he concludes by saying “It’s good that you forgave,/You were not always so nice.” She makes no effort in her writing to seem “nice” – whether affectionate or austere, she stands strong and fortified. It does make it hard for the reader to get close to her… and in real life, her husband Nikolai Gumilev went to the front in 1914 and four years later their strained and dissolving marriage ended in divorce, adding another layer of conflicts and reservations to the poems written here. He was jealous, and anxious, and tender. And I was like God’s sun to him. He killed my white bird on a whim. Combining so delicate and childlike a rhythm with inexplicable cruelty makes this three-stanza poem one of the most genuinely haunting of the set. The best poems in White Flock resonate with a disciplined, survivalist serenity in the face of growing shadows. Like sorrow or song in me brooding/in the winter before the war. Love and war become metaphors mirroring one another and her heartfelt pleas present themselves more strongly when the text as a whole is so often reserved. Shimmer brightly in glorious rays. As for the physical qualities of the book, no problems there. It’s well-bound, reasonably heavy and there’s no question of the cover being ugly or wrongfooted (as often happens in the self-published sphere). A couple of grammatical errors (but no more or less than I’ve found in the NYRB Classic I’m currently reading) and some irrelevant commas are the only things I questioned. Bilingualism is always an appreciated feature where poetry in translation is concerned, so what I most miss in White Flock is a helpful essay (a biographical piece on Akhamatova’s early life and marriage, perhaps) but there is a brief and useful note on translation: Readers should be wary of [bad translations] as art collectors are wary of forged paintings. That I am so keen for detail on Akhmatova’s life is mostly an indication that I need to buy a biography of this woman. For more information on Andrey Kneller’s work, here is his new Anna Akhmatova website.